Revolutionary approach to solving the digital payments last mile cash replacement. TigrePay specializes in helping clients bridge from legacy to digital payments. Our Tokenized Offline Payments Protocol (TOPP) is a patented revolutionary approach to solving the digital payments last mile cash replacement. 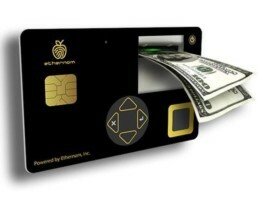 Leveraging a biometric smart card system on a chip with an offline card based blockchain, the TigreTOPP product connects the legacy payments world with a better than cash digital alternative for people that routinely conduct offline payments. © 2019 TigrePay. All rights reserved. Site by Red Jet Creative.